What we say is the truth, and what we promise we deliver. We’re dedicated to having and living by strong moral principles. We know that if we’re going to talk the talk, we’ve got to walk the walk. We pledge more than just honesty. 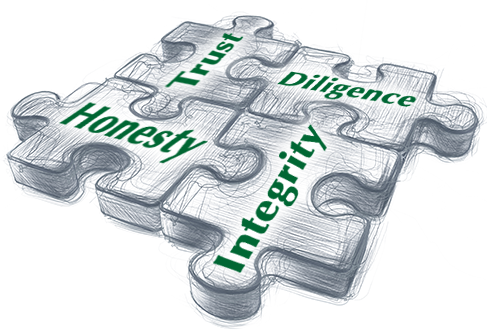 Our clients can be confident in our total commitment to confidentiality, wise counsel, and mutual respect. Our driving purpose is the daily zealous pursuit of identifying, protecting and promoting what’s in our clients’ best interest.